“He will turn again, he will have compassion upon us; he will subdue our iniquities; and thou wilt cast all their sins into the depths of the sea” (Micah 7:19 KJV). Earth’s oceans are very mysterious. Great depths, extreme pressure, and immense darkness hinder us from thoroughly exploring them. Actually, we know more about the Moon—or even Mars (! )—than we do about our own planet’s oceans! Scientists have discovered only a fraction of the species that exist in our oceans. Various deep trenches and innumerable caves and crevices are hiding places for who knows what! Average ocean depth on Earth is about 2.3 miles (12,100 feet / 3.7 kilometers). The deepest part of our Earth’s ocean basins is Challenger Deep, the southern part of the Marianas Trench, located in the western Pacific Ocean. Challenger Deep has been measured to have a depth of nearly 7 miles (36,200 feet / 11 kilometers)!! Near the close of his book, the Prophet Micah wrote today’s Scripture. Having talked throughout about Israel’s coming judgment (historically, from our view, they were the Assyrian and Babylonian captivities), as well as her coming Messiah to rescue her from her sins and her enemies (still future, even from our view), Micah concludes the book with the Abrahamic Covenant: “Thou wilt perform the truth to Jacob, and the mercy to Abraham, which thou hast sworn unto our fathers from the days of old” (verse 20). 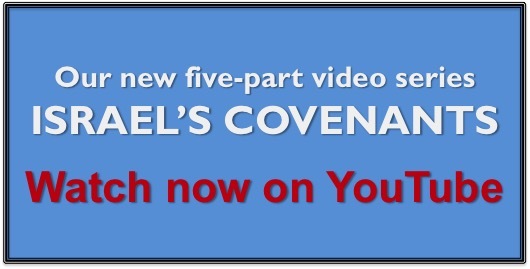 The Abrahamic Covenant was God’s first and foremost agreement with Israel (Genesis 12:1-3). No matter what Israel would do, no matter how deep into sin and idolatry she would go, that covenant was unconditional. It would hold because of God’s faithfulness.